Welcome to Harrison Cattle Company. We are a family owned, third generation farming and cattle operation located in Arapaho, Oklahoma and Mobeetie, Texas. Harrison Cattle Company has been involved in Angus and Hereford cattle for generations and we are proud to carry on this tradition. We are involved with leading breeders in the Hereford breed, and we incorporate top quality bulls and donor cows in our program to achieve our goal of raising good, functional Hereford cattle. We are also involved with the youth through raising show heifer prospects. At Harrison Cattle Company we are committed to hard work, honesty and providing good quality cattle at a fair price. Please feel free to call or drop by any time. 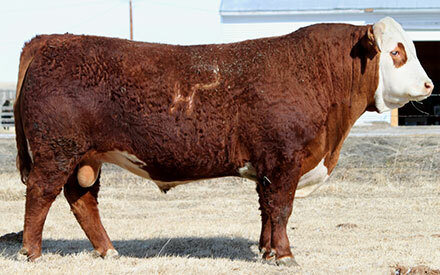 We love to talk Herefords!